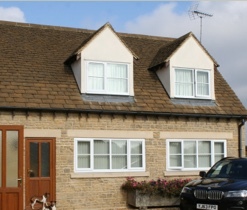 Our bed and breakfast is situated in the South Cotswolds halfway between Cirencester and Swindon and within the Cotswold Lakes and Water Park. 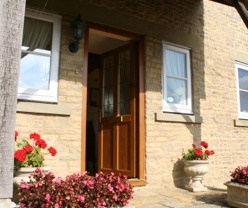 Our bed and breakfast is ideally situated for day trips to Cirencester, Swindon, Cheltenham, Gloucester, Oxford, Salisbury, Bath, and Stratford upon Avon to name but a few. 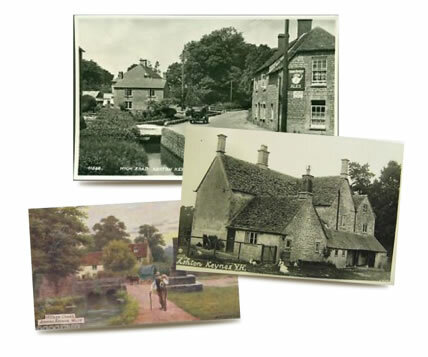 Wheatleys Farm Bed and Breakfast is set on the edge of the the picturesque village of Ashton Keynes, the first village on the River Thames. We are surrounded by our own land and have the River Thames running through part of that land. As well as providing bed and breakfast we now offer two new self-catering apartments adjacent to the house. We farm about 500 acres. The land is used to produce feed for animals, mainly wheat, barley, straw, hay and haylage. 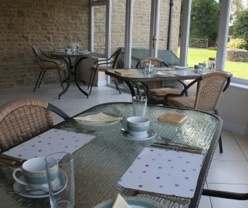 You can enjoy a good farmhouse breakfast cooked with locally sourced produce when possible, in our conservatory overlooking the garden, before spending a relaxing day doing your own thing. We have a guest lounge, which is ideal for family groups to unwind together at the end of an eventful day. We also offer free wifi. Guests are welcome to use our garden to enjoy afternoon tea, relax with a favourite book, or watch the sun set with a drink in the evening. We have ample safe off-road parking. The village pub is within walking distance and offers excellent food. Alternatively, we can recommend a variety of restaurants within a few miles. I am sorry, but in the interests of our guests, we do not have pets in the house.